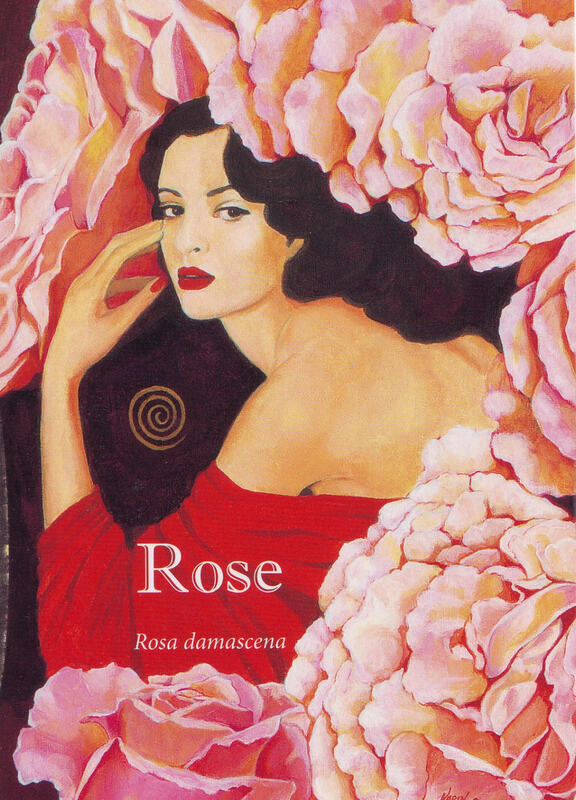 My discussion on rose will focus on Rosa damascena. Synonyms: Damask Rose. Rose Otto refers to the steam distilled essential oil. Rose absolute refers to the solvent extracted absolute most often from Rosa centifolia. Rose Attar refers to the distillation of rose petals in Sandalwood oil done in India. I won’t be discussing absolutes or attars in this post. Aroma: Rose has a deep sweet rosy-floral aroma but this can vary depending on the amount of minor constituents in the oil. These variations can be due to the country of origin, distillation and storage among other factors. I remember early in my practice taking back a bottle of rose essential oil to my supplier because of the difference in smell between a previous bottle I had bought there and the present one. The above factors were explained to me. It is also important to remember I think that we are working with a living entity and as such there will be variations over time. It is really only the perfume and flavour industries that need a standard fragrance but as therapists especially working on a soul level it is important to have an unadulterated essence and that will mean having some variance in aroma/fragrance from time to time. Plant: Perennial bush rose that grows to 2 metres and has a plantation life of 10 –12 years with annual pruning. Main Growing Areas: Bulgaria, Turkey, Southern Russia and Morocco. The finest rose essential oil is said to come from Bulgaria in the Valley of the Roses, which lies between two mountain chains. Major Constituents: Rose contains more than 300 chemical constituents of which around 10 or so major constituents including citronellol, geraniol, nerol, linalool, farnesol and stearoptene make up 85-90% of the volume with approximately a further 275 – 290 making up the remaining 10-15%. Although these minor constituents may only be present in trace amounts they are an important part of the oil. (It is hard to be accurate here as different sources quote different amounts.) 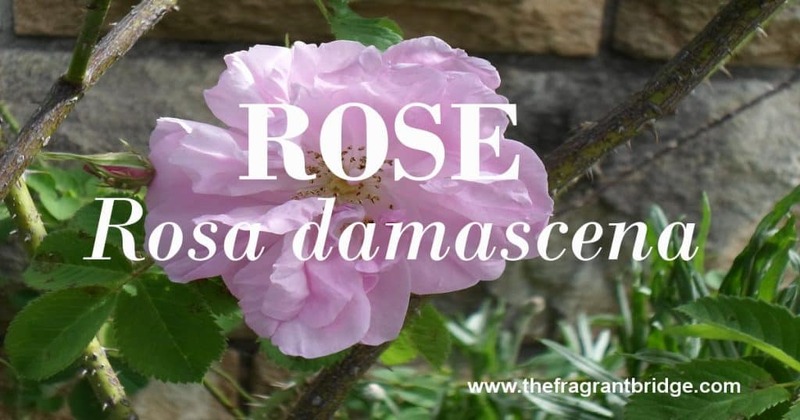 It is important to note that the chemical component that gives rose her characteristic smell beta damescenone only makes up 0.14% of all the constituents but gives almost 70% of the aroma. Unfortunately due to the high price of genuine rose essential oil there is the temptation to adulterate the oil with palmarosa and geranium, or to ‘extend’ it with constituents such as ‘geraniol’, a good reason to get to know your supplier. Interesting snippets: It is said that Rosa damascena is a cross between Rosa gallica and Rosa centifolia but there is still some debate about this. Roses have been used both medicinally and as a symbol of divinity in Persia, China, India and Egypt since ancient times. In the case of China in the Han dynasty the emperor had to issue an edict to restrict the growing of roses as his subjects so loved rose gardens that they were growing them instead of food thus threatening food production. In the palace of Knossos in Crete there is a fresco of a rose dating back to 2000BC. The island of Rhodes is said to get its name from rhodon meaning rose in Greek. It is said that the British King or Queen is still anointed at the coronation ceremony with “Holy oil” containing rose essence, the recipe for which dates back to the 12th century. The phrase subrosa meaning secret or confidential is said to have originated from the practice of hanging a rose over the dining or conference table as a symbol that all conversations were to be kept confidential. To this day the ornamental plasterwork in the centre of the ceiling is called a rose. Each year one of the largest Turkish distillers sends 500 litres of rosewater to Mecca to wash the holy walls each day. 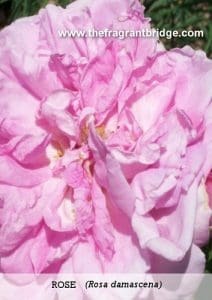 Valerie Ann Worwood in The Fragrant Heavens writes that in ancient times in Greece and Italy graves were planted with rose bushes and strewn with rose petals. In medieval Europe religious rites for the dead were often carried out in rose gardens or within the ‘rose hedge’. I think that the people participating in these funerals would have benefited greatly from the perfume of the roses during a difficult time. Part of Plant used / Extraction: It takes over 1300 rose blossoms to make one gram of essential oil or 30 roses to make 1 drop of oil. That and the fact that the roses are picked by hand rather than by machine is the reason why rose essential oil is so expensive. Picked in May and June from dawn to 9 or 10am when the essence is highest in the petals, the temperature cool, the humidity high and the sunlight gentle. 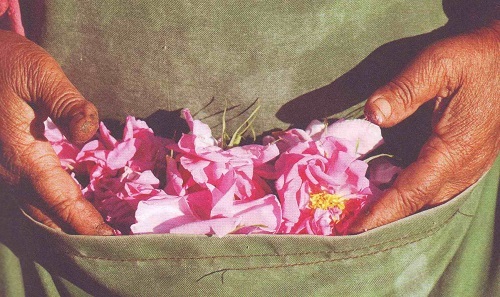 During this time an average picker can harvest between 30 and 40 kg of rose flowers a day. The petals are put into bags and taken to the distillery where they are either distilled within hours of picking or in very busy times when the distillery can’t keep up with the harvesting they are stored in thin layers in air conditioned storage warehouses and sprayed with cold water to prevent the essential oils from evaporating. 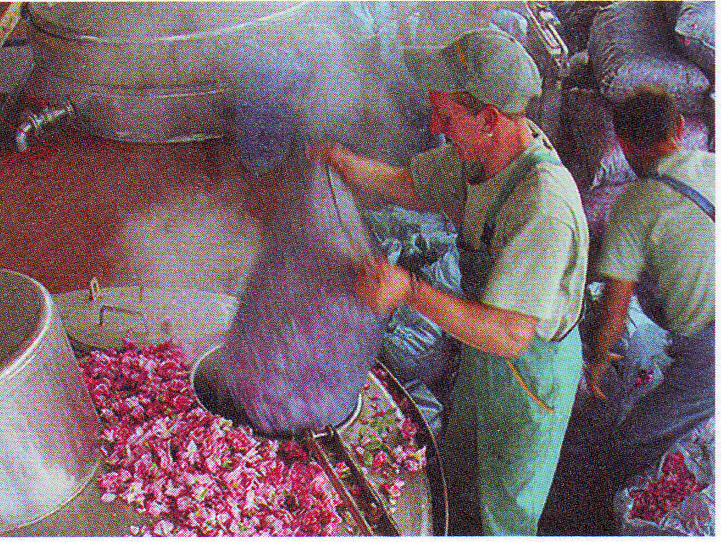 The fresh rose petals are hydro distilled, that is they are immersed in water and the water is slowly heated and both the oil and the water are collected. In a process called cohabitation the distillation water is then processed again through a cylindrical Florentine tank to isolate the remaining rose oil. Once this process is complete the oil is easily separated as it floats to the top of the water. The essential oil we buy is a combination of oil from both processes. The water, which contains trace amounts of the essential oil constituents, is later sold as rosewater. The complete process can take 5 – 6 hours. 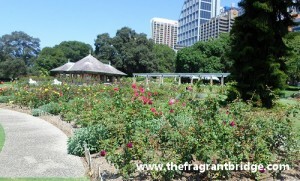 NOTE: Pure rose essential oil is expensive but it is possible to buy it diluted 3 or 5% in jojoba or other carrier oils. I prefer it in jojoba as jojoba is a wax, not an oil so it does not go rancid over time. This allows you to experience the properties of rose without the expense. Therapeutic actions: Rose is excellent for inflamed, irritated and infected skin conditions but being an expensive oil I think it is better to use other oils which work just as well and save your precious rose for spiritual and emotional issues where she excels. Skin care: Dry, sensitive and mature skin. Rose is excellent in face creams for mature skin. Susanne Fischer-Rizzi states that equal amounts of undiluted melissa officinalis and rose essential oils helps to heal shingles in a few days but as I have not tried it I can’t confirm this. 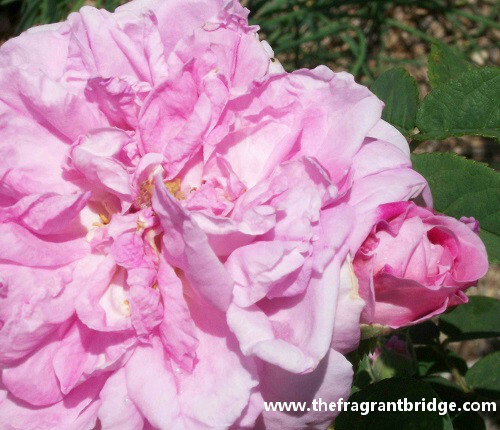 Emotional and Spiritual: Rose is excellent for grief, bereavement, emotional wounding and nervous anxiety. As stated above Rose is the first oil I reach for when someone is grieving. Combined with neroli or bergamot she helps to bring some light into their soul. Gabriel Mojay writes that rose has the ability to bring warmth and restore trust to a soul that has grown cold through abuse, hurt, despair, loss and rejection, making it possible to love again. Robbi Zeck writes, “The glorious rose enfolds the soul within its own fragrant song, aligning it with the higher angelic realms”. She also writes, “Awakening the heart energy, the exquisite fragrance of the velvety rose calls forth a sense of deeper identity and belonging.” I feel that this is truly an essence to welcome the angels and is one reason why I included her in my Angelic Blessings Mist. Rose renews the sense of wellbeing to all areas of your life, bringing comfort and warmth to those who have grown emotionally cold. Rose can knock down the biggest walls that you have built as a coping mechanism to feel protected. Love flows deep, and we may have set our attitudes and beliefs around how we experienced love in the past. Nothing from the past reflects on the future unless we choose to allow it to happen. So embrace the emotionally nurturing and sensuous benefits of Rose oil to rediscover and regain your passions in life. 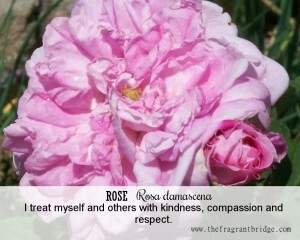 Fragrant Change Healing Card: I treat myself and others with kindness, compassion and respect. Can you truly love unconditionally or are you putting conditions on your love? Do you lack compassion for yourself and others? Do you feel unable to trust yourself or others due to past hurts and betrayals? Consider where you may be putting conditions on your love and your reasons for those conditions. Think of ways that you can show compassion to yourself and others rather than shutting your heart down when you or others are suffering or make mistakes. If you have been emotionally hurt or betrayed it can be hard to love again but have the courage and faith to tear down the walls, open your heart to let love in. Learn to love and trust again. This entry was posted in Essential Oils and tagged anxiety, grief, love, rose on February 18, 2015 by Carole Hodges. February 14th is Valentine’s Day when many couples plan some special time together and may even give gifts to each other to express their love. Whether you do or don’t have someone special to share the day with remember to send some love to the most important person in your life – you. 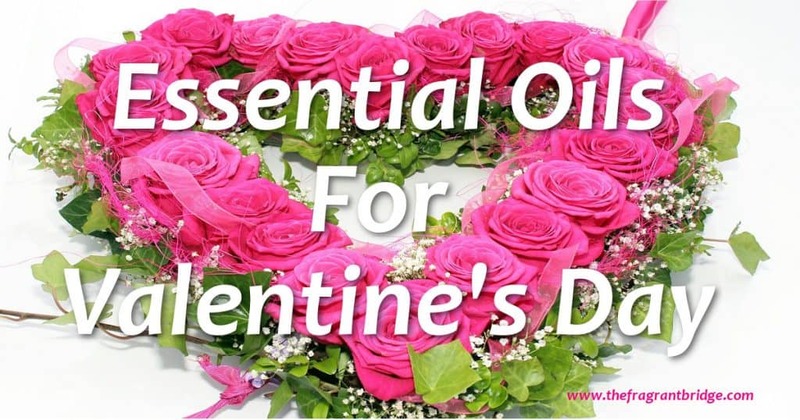 Here are some oils you might like to try for that special Valentine’s evening. All except elemi, lavender and neroli have been said to have aphrodisiac properties. Geranium (Pelargonium graveolens) brings balance to all areas of your life. Jasmine (Jasminum officinalis) harmonises your sensual self with your emotional self allowing passion to flow. Neroli (Citrus aurantium var.amara) is both sensual and spiritual. She is helpful if you are feeling tired and stressed. Rose (Rosa damascena) is the oil for unconditional love. Ylang Ylang (Cananga odorata) helps to reunite your sensual and emotional self. Eases the fear of intimacy, especially if you experienced rejection in the past and calms jealousy by helping you to feel more lovable. Strong perfume so you don’t need much. You can either vaporize 4-6 drops of one or a combination of oils in a diffuser or add up to 10 drops of one or a combination of oils to 20 mls of vegetable oil to make a relaxing massage oil with aphrodisiac properties. This entry was posted in Essential Oils and tagged elemi, jasmine, neroli, rose, St Valentine's day, ylang ylang on February 10, 2015 by Carole Hodges. There are many definitions of essential oils including this very dry explanation by an author whose name I have forgotten. “Essential oils are the essence of the plant contained in the glands, glandular hairs, sacs or veins of leaves, stems, bark, flowers, roots and fruits of different plants. It is very true but I think they are so much more than that. The above doesn’t take into account how well they work to heal on all levels, physical, mental, emotional and spiritual. They are very versatile and can be used in a vaporiser, bath, massage and anointing oils. They are used in hospitals and hospices for both their physical and emotional healing properties. Frankincense has been used in churches and religious ceremonies for hundreds of years because of its meditative properties. For me they are the soul or essence of the plant that touches our soul or essence and begins a healing on all levels. They are truly a fragrant bridge. 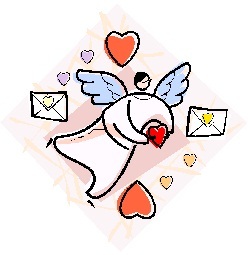 The header of my blog and my logo drawn by Doris Wittmann expresses this. There is the tree or plant giving up its essential oil and the person receiving it. The drop represents both the plant’s and the person’s essence. 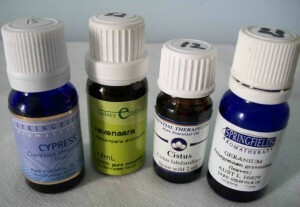 Essential oils have the ability to both ground us and free us to connect with our higher self. This entry was posted in Essential Oils on February 2, 2015 by Carole Hodges.